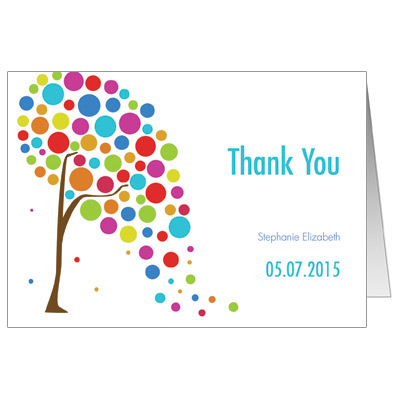 Make your thank you note a keepsake with this colorful and modern card. The left side of the design is decorated with a tree of bright dots, with a name, date and message of thanks printed beside it. Folded card measures 5x3.5.